It was summer of 2010 when I launched the Love Circle, a group of 10 quilters who would make quilts collaboratively to be donated to children through Wrap Them in Love. At the time, there really weren't any charity quilt drives catering to the burgeoning community of online quilters. do. Good Stitches emerged organically out of our collective desire, as quilters, to do something good with our hobby, something that indeed could wrap others in love. And boy did it catch on! Over the following years, do. Good Stitches added many circles each year, soon based all over the world and donating to a variety of wonderful charities chosen by the circles themselves. At its heyday, do. Good Stitches was a movement of over 250 active quilters organized through Flickr, the social media platform of that time. I have been so blessed to be at the helm of this organization over the last eight years. It has been lovely to see all the many quilts finished by members and gifted to those in need, near and far. On a personal level, I've learned so much from sewing in a quilting bee. 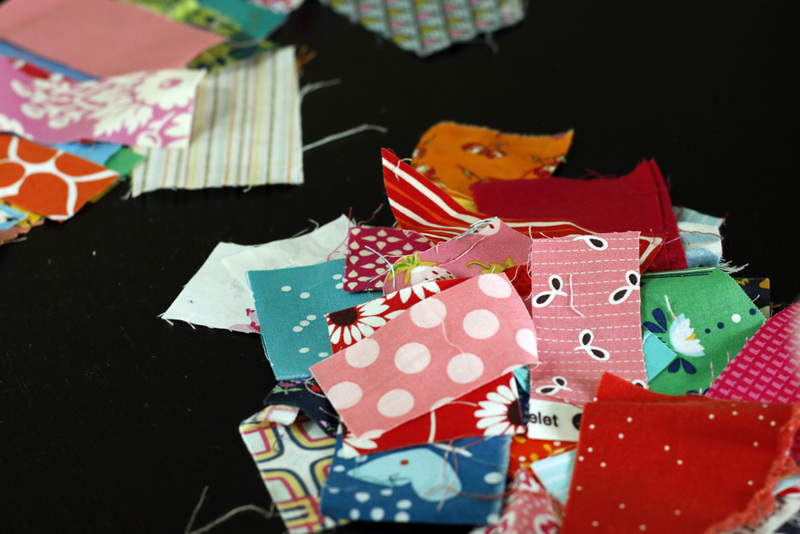 I've tried a ton of blocks and color schemes I'd never have otherwise and used up a bunch of scraps! It's been a win-win situation for sure. I'd been sensing it was time for me to step down from Love Circle, when two other quilters brought me their resignation. It seems like the time has come to wrap up our works in progress and close this particular chapter of our life. 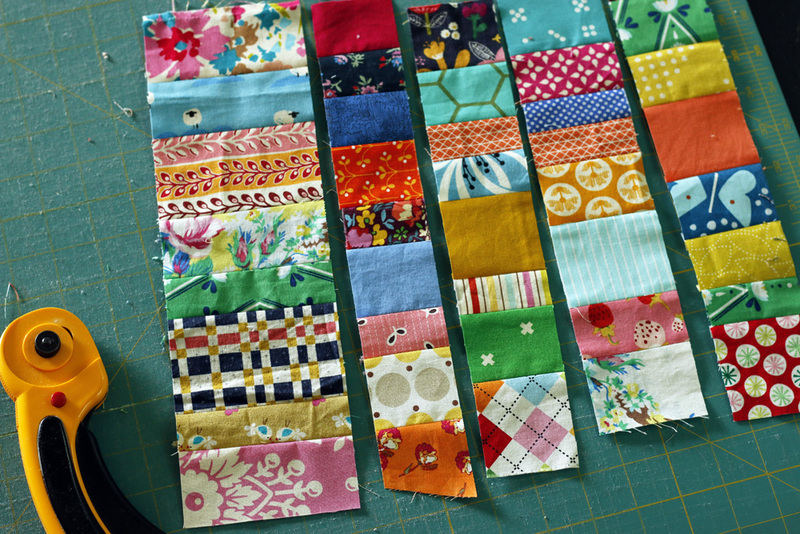 These scrappy strip blocks, made up of my tiniest crumb scraps, will be my last bee blocks for do. Good Stitches. And you know what, I'm glad I know this before completing my last Love circle quilt. Finishing my book bee quilt is next in my queue. I'm going to especially savor the experience. Modern fabric and sewing patterns from the United States, as well as a huge selection of Japanese Import Fabrics. Browse Birch Organic Fabrics, Art Gallery and Moda, just to name a few. Now through 11 pm PST today (8/27) save 20-30% on fabric bundles! Visit Sales for the week's fresh deal. p.s. If you'd like to join do. Good Stitches, you still can! There are still many circles working collaborative within the United States, Canada, Europe and Australia. Hop over here, to register your interest.